Ukraine's Oleksandr Abramenko won the men's aerials freestyle skiing gold medal. The 29-year-old scored 128.51 points in the final to beat China's Jia Zongyang and Ilya Burov, of the Olympic Athletes from Russia team, to top the podium. Silver medallist Jia finished on 128.05, with Burov 122.17 for bronze. It was a first gold medal for Abramenko on his fourth visit to a Winter Games. 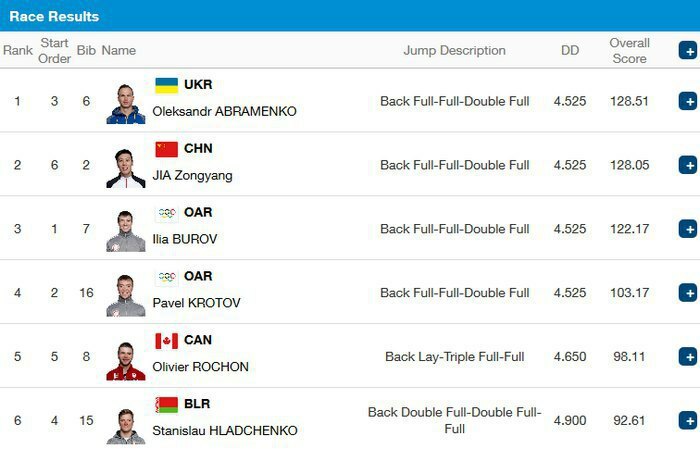 Thanks to Abramenko's win, Ukraine has moved up to the 17th seat on the medal ranking.